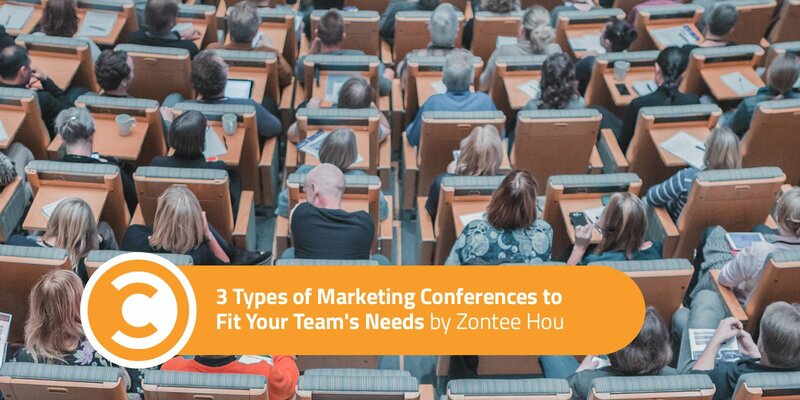 Working with agencies and major brands at Convince & Convert, I often get questions from clients about upcoming conferences and how to select the right conferences for team members of various job titles and skill levels. Figuring out which events are right for your team can be challenging if you don’t know what you’re looking for. Here are a few quick tips on how to select the right events to best use your education/development budget and build your team’s knowledge. Some of the most compelling conferences being held in the marketing industry currently are being organized by technology brands who are able to pull from their robust communities of users and experts. Furthermore, many of them explore one key area (e.g. email, automation, social media) with both breadth and depth. Look at events such as Spredfast’s Smart Social Summit (October 16–18), which brings together more than 700 social media leaders and features a rich combination of industry-specific breakout sessions and killer keynotes. This type of event, which has a great mix of panels, workshops, and keynotes is a good option for teams, where both strategists from the C-suite and tacticians at the user-level attend together. In fact, I’m looking forward to attending Smart Social Summit myself, and I’ll be bringing you coverage of the event on our social media pages, so drop us a line if I’ll see you there. And if you haven’t bought your ticket yet but are interested in joining, you can get $300 off by using the code SFBaer17 at checkout. Click here to register. Many of us can get into the weeds when it comes to our day-to-day marketing efforts. For team leads, marketing directors, and company executives, it can be extremely beneficial to get a broad view of what best-in-class brands are doing in terms of brand marketing and innovation. When the goal is to bring clarity and develop a new overall approach to your marketing efforts, focus on conferences that bring together great storytelling speakers and offer strong keynote-style sessions. Events like Brand Manage Camp (September 26–27) are good for this type of idea-oriented learning. In fact, you’ll see Jay Baer as one of the speakers this year. If your team is looking for solutions and insights into market-based challenges, a conference that has a lot of brand-side practitioners, presenting or speaking on panels, can be a good fit for you. A good example of an upcoming event is Brand2Global (October 2–3). Look for events with sessions that focus on common challenges that your team faces within your vertical or specialty, as well as sessions that focus on case studies. The best way to synthesize and strengthen the ideas you’ve learned from a conference is to teach your findings to someone else. Make it count.